Tonight at the Langley Events Centre, the Vancouver Giants return to action on home ice for the first time in a span of 27 days! 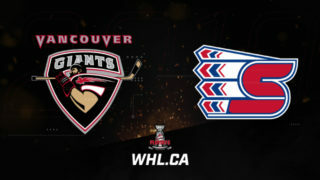 Yes, for the first time in 2019 the Giants are on home ice and tonight they’ll look to secure their second straight victory when they host their B.C. Division rivals, the Kamloops Blazers for the third time this season. For the Giants this marks their first game in six days while the Blazers are wrapping up a four-game, seven-day road swing tonight against the G-Men. 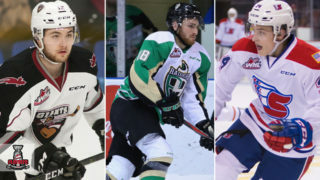 Kamloops GM Matt Bardsley’s first move in his new position was to swing a deal with the Lethbridge Hurricanes that brought 1999-born forward Zane Franklin to Kamloops in exchange for forward Jackson Shepard. Since joining the Blazers, Franklin has been marvelous posting 20 goals and 21 assists for 41 points which leads the team. He’s already three points ahead of his point totals from a season ago. He’s played in all 39 games for Kamloops this season and has scored twice against the Giants while adding an assist in two games against them so far. 1998-born forward Jermaine Loewen is a factor in virtually every single game he plays in. The 6’4”, 227-pound prospect of the Dallas Stars comes into tonight’s game with 12 goals and five assists for his credit this season – This after scoring 36 a season ago. Last season Loewen led all Kamloops skaters with seven goals and 11 points against the Giants and also produced 17 penalty minutes and a +2 rating. He’s only played in one of the two games against the Giants so far this season, but look for him to be a big factor for Kamloops as these two teams get set to play six times over the course of the Giants next 24 games. Coming into tonight’s game, the Blazers hold the eighth and final playoff spot in the Western Conference standings thanks to their 33 points. That said, the Prince George Cougars also have 33 points, but have played one extra game. Meaning that a Cougar win tonight against Kelowna, coupled with a Blazers loss to Vancouver would push Kamloops outside the top eight. Tonight the Blazers will have to dig deep as they’ll be playing their fourth game in a span of seven days, all of which have been on the road. 2001-born defenceman Bowen Byram brings a four-game point streak into tonight’s game with Kamloops. Over his past four games, Byram has a goal and four assists for five points. His 10 goals have him tied for first in the WHL for goals among defencemen. For the season, Byram’s 33 points rank him second on the team and seventh in the entire WHL in scoring among defencemen. He’s recorded two assists in two games against Kamloops. Through his first two games as a Giant, 1999-born forward Jadon Joseph has recorded a point in each of them. 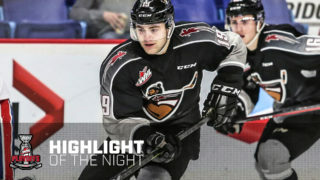 After recording an assist on January 4th in Lethbridge, Joseph scored a highlight reel goal on January 6th in Kootenay that ended up as the WHL’s Play of the Week. Joseph comes into his first Giants home game with 13 goals and 14 assists for 27 points. He has all the makings of a future fan favourite in Langley. Coming into tonight’s game the Giants power play is five for its past 12 opportunities. 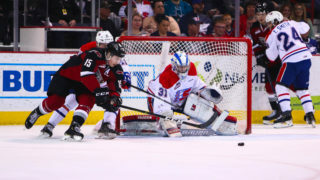 All of a sudden, a power play that’s been ‘streaky’ all season is ranked sixth in the WHL. As the Giants continue their second-half pursuit of a B.C. 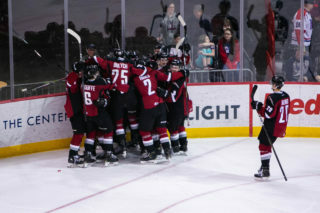 Division title, the power play will likely be a major X-Factor in their success, and if it can continue to produce, it should lead to some big wins down the stretch.